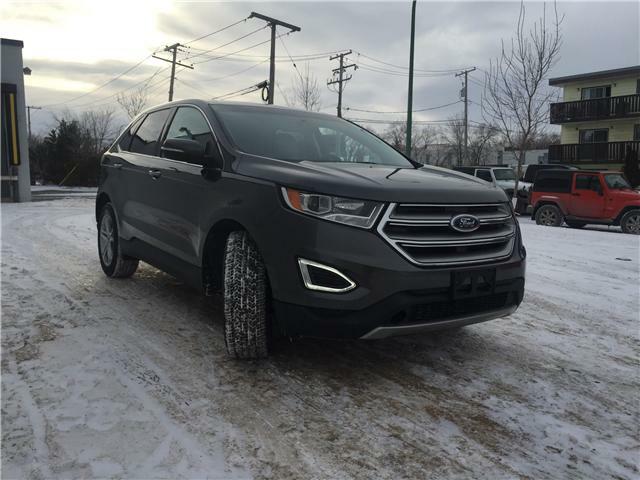 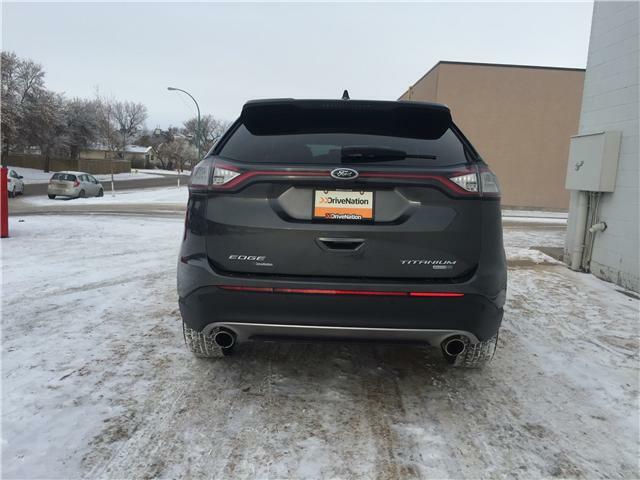 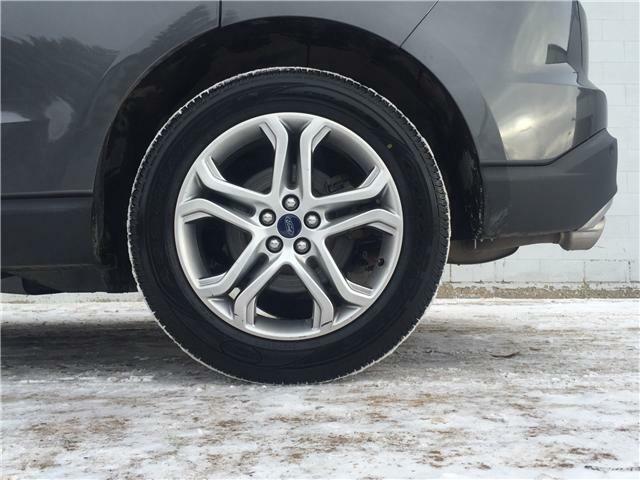 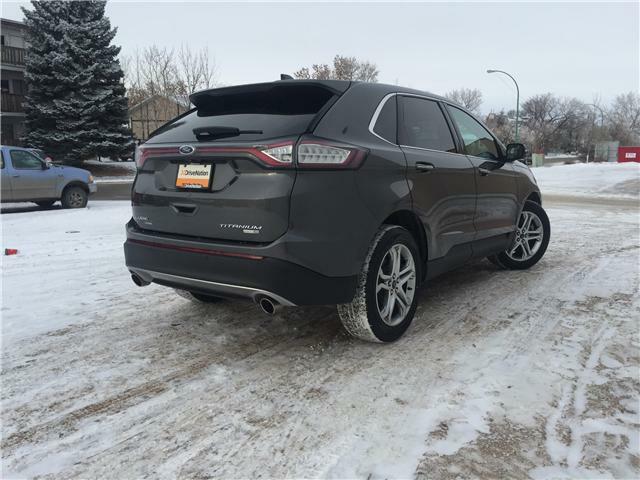 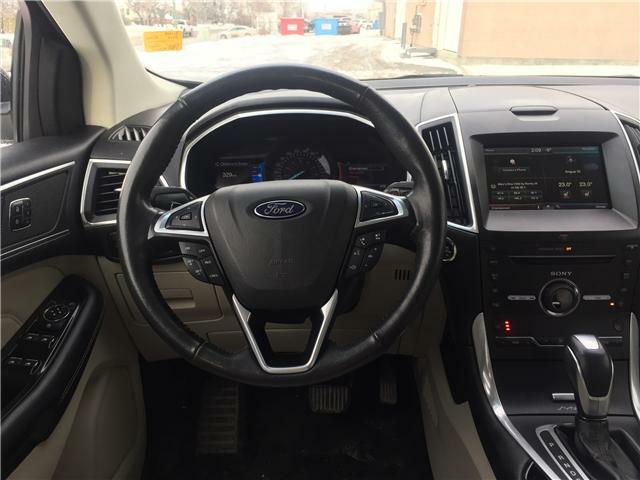 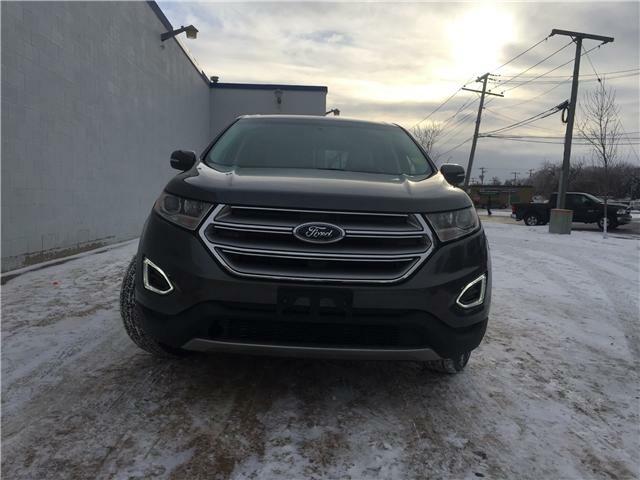 2015 Ford Edge Titanium for sale in Regina - Our 2015 Ford Edge Titanium looks stunning in its dark grey paint. 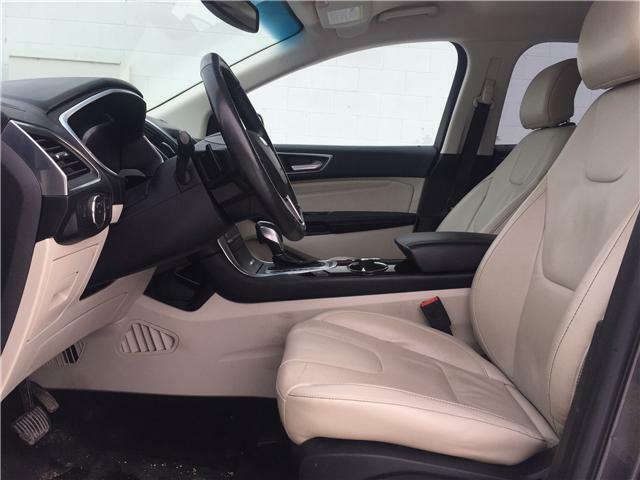 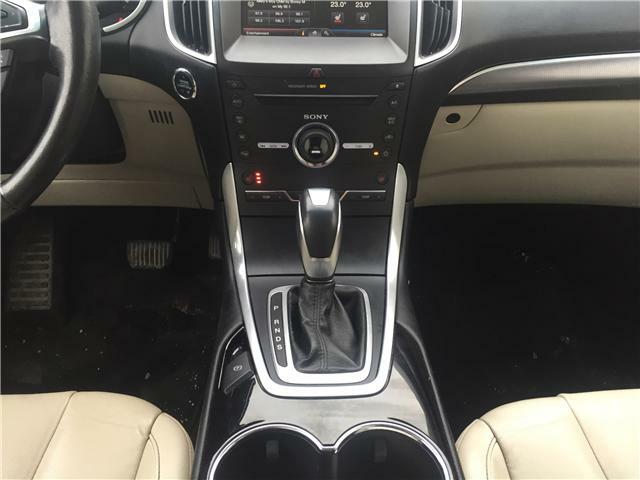 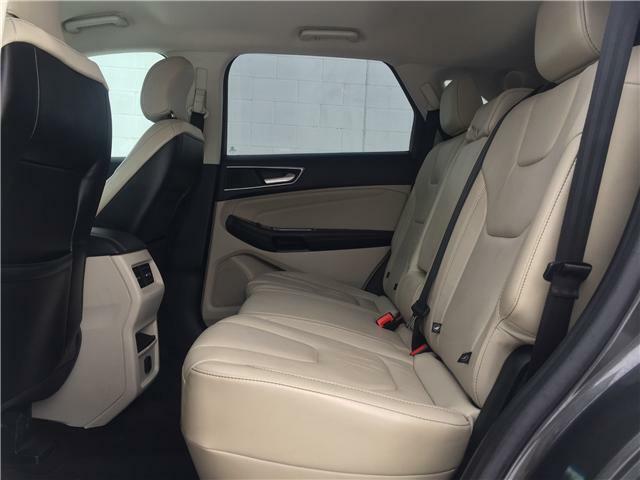 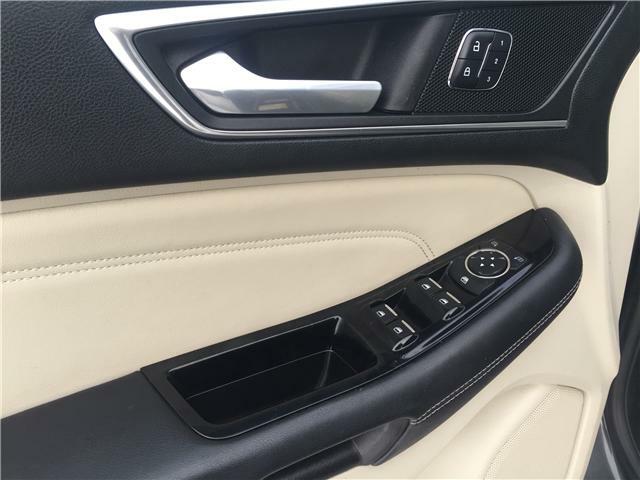 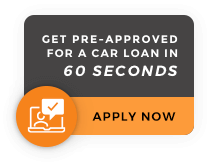 Paired with cream leather interior, this vehicle looks and feels extremely luxurious. 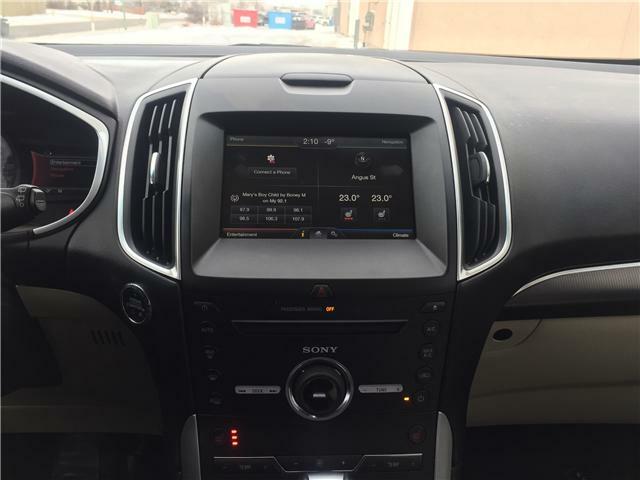 FordSync and navigation will keep you on track with all of your travels, whilst heated electric seats with two memort functions will keep you extremely comfortable. 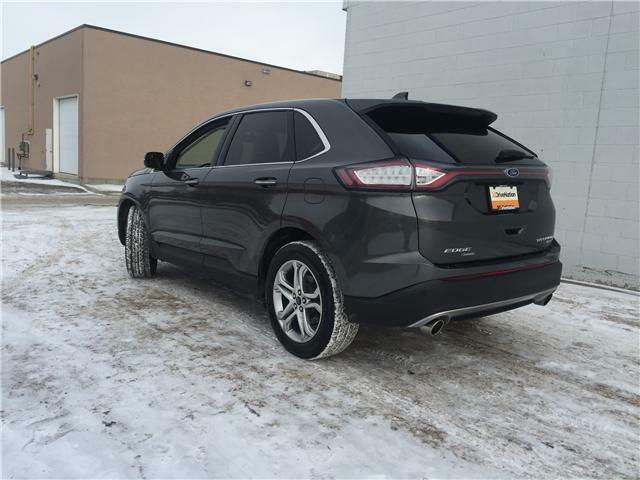 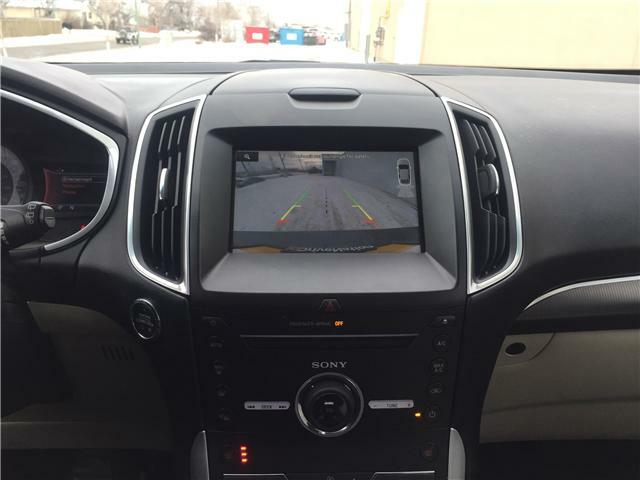 Remote start for the cold winter mornings will keep you smiling, and the backup camera on our 2015 Ford Edge Titanium will make parking a breeze. 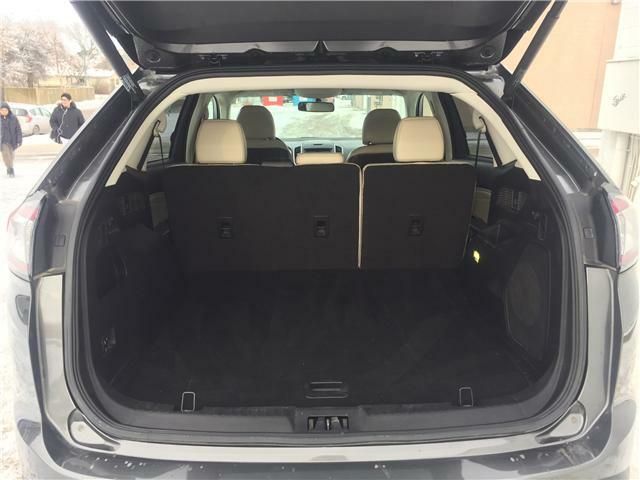 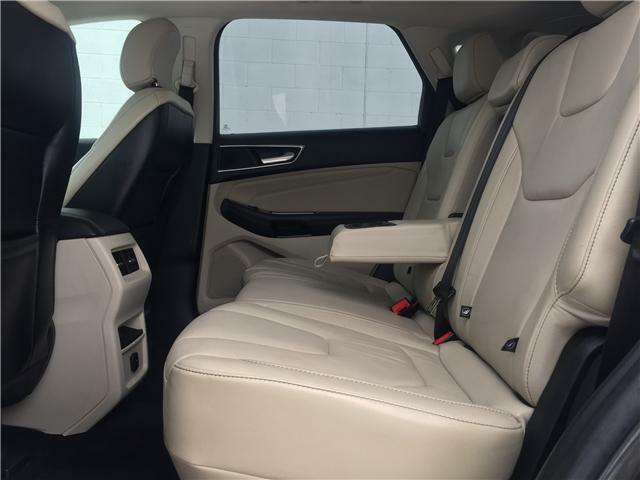 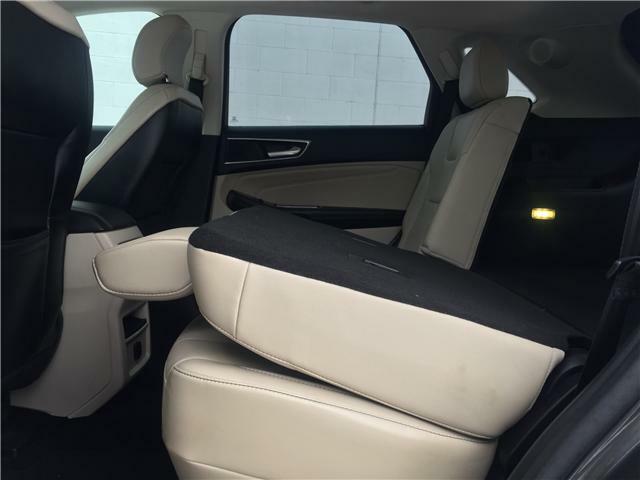 With ample cargo room, and an electronic tailgate, this vehicle really does make you feel like you're in the lap of luxury with every journey! 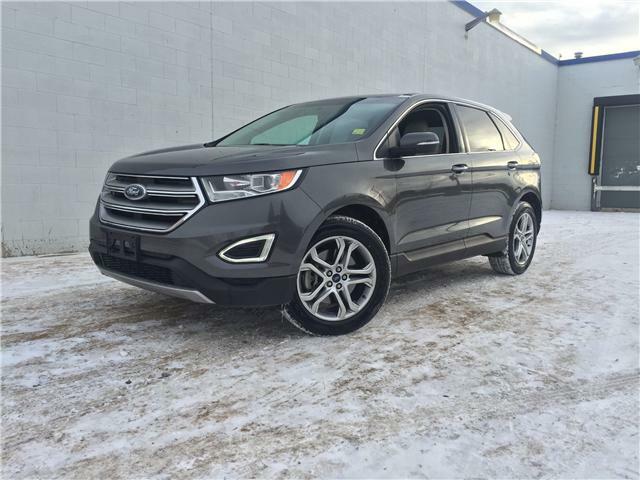 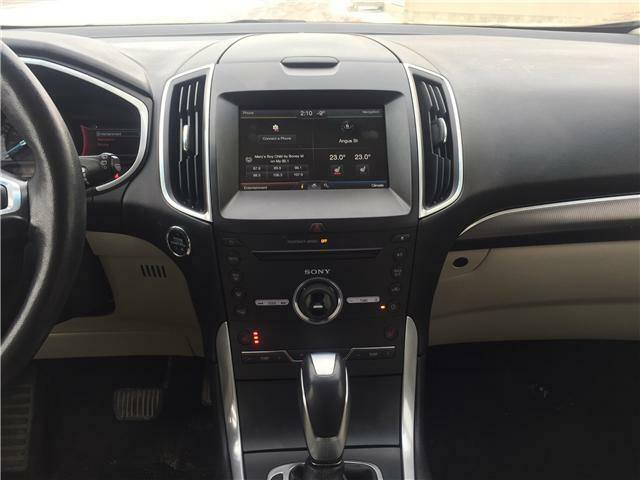 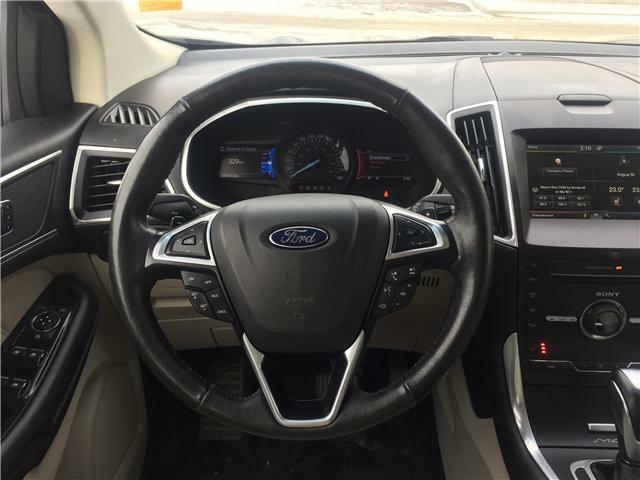 Come on down, and test drive our 2015 Ford Edge Titanium for yourself!